Hannah Davidson doesn’t want to just research the link between open education and accessibility; she wants to put theory into practice by placing her research on an open platform. Davidson, who works with Campus Accessibility Services, is one of Plymouth State University’s Ambassadors from the 2018 Academic Technology Institute (ATI) conference. The ATI Ambassadors commit to completing an open education project throughout the year following the conference. Accessibility is at the heart of Davidson’s ATI project. Through Plymouth Create, Davidson will be “researching in the open” by finding, developing, and sharing the connections between accessibility, open educational resources (OERs), and open pedagogy on a public blog. Davidson also hopes to develop a rubric for faculty to assess the accessibility of the OERs they incorporate into their classrooms. To Davidson, the connection between open and accessibility is clear. In addition to the use of resources such as open textbooks, Davidson adds that open pedagogy is another natural companion to accessibility. 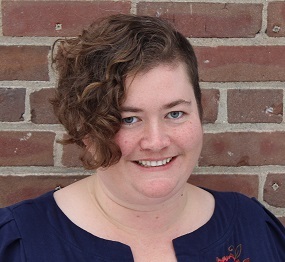 Davidson’s cohort, comprised of faculty from Plymouth State University, Keene State College, University of New Hampshire, and Granite State College were all supportive of her plans to pull together a collection of resources on accessibility and open. Many times, Davidson says, she surprised her cohorts with her findings on accessibility and open. While OERs are considered accessible due to their availability and low cost, Davidson notes that there are other important characteristics of accessibility to consider when creating and curating these types of resources for a course. Davidson’s final example is a simple one, but one that is often forgotten: captions for images and videos. But highlighting how to integrate these components of accessibility is another purpose Davidson hopes to serve with her blog. Davidson says that is it vitally important to incorporate accessibility in the initial development of an OER rather than waiting until accessibility becomes an issue for a student. For faculty who need help determining the accessibility of a resource they intend to use or develop, Davidson says that Campus Accessibility Services and Academic Technology, available through the ITS Help Desk, are two major resources on campus that can help. Davidson doesn’t plan on stopping the development of her ATI project after her year is up. Instead, she hopes to cultivate her site into an expanse of resources on all things open and accessible. Mon.-Thurs. 7:45 a.m. - 12:00 a.m.
Fri. 7:45 a.m. - 6:00 p.m. Sat. 10:00 a.m. - 6:00 p.m.
Sun. 12:00 p.m. - 12:00 a.m.